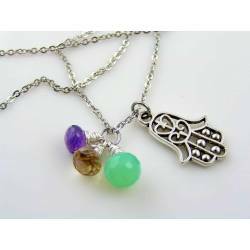 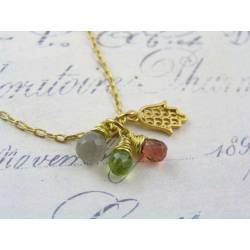 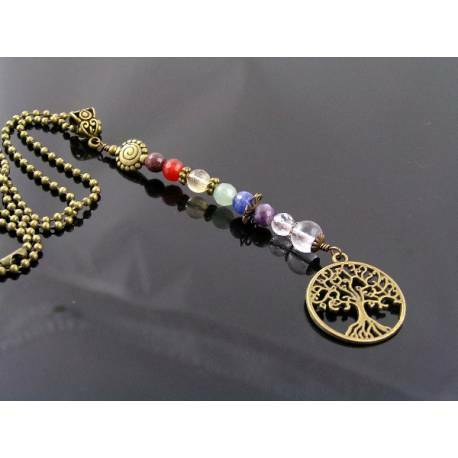 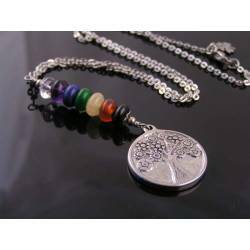 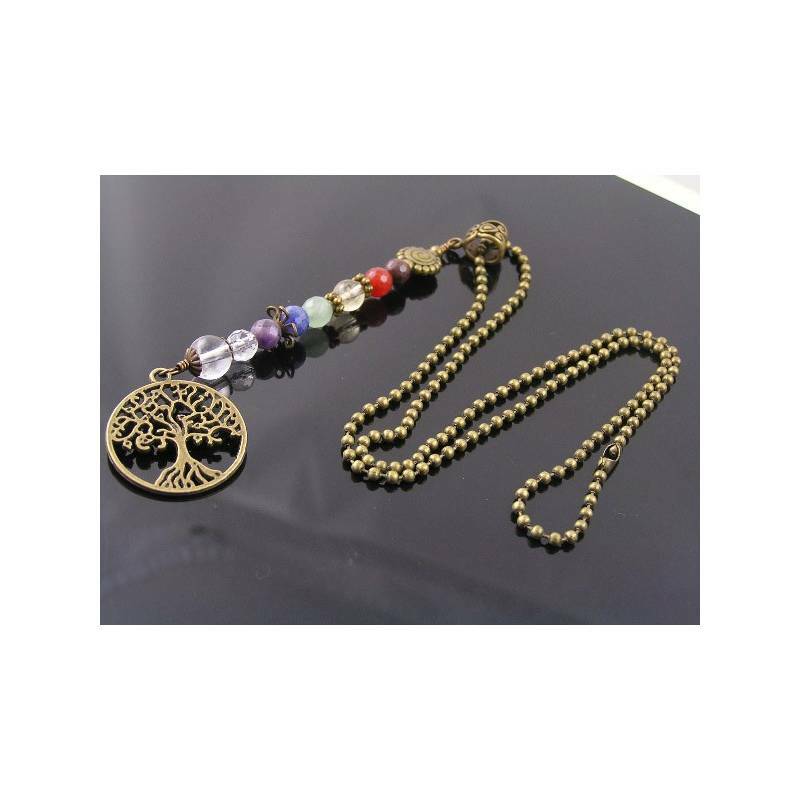 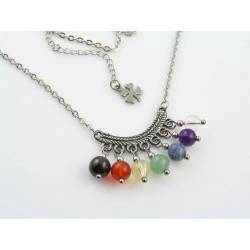 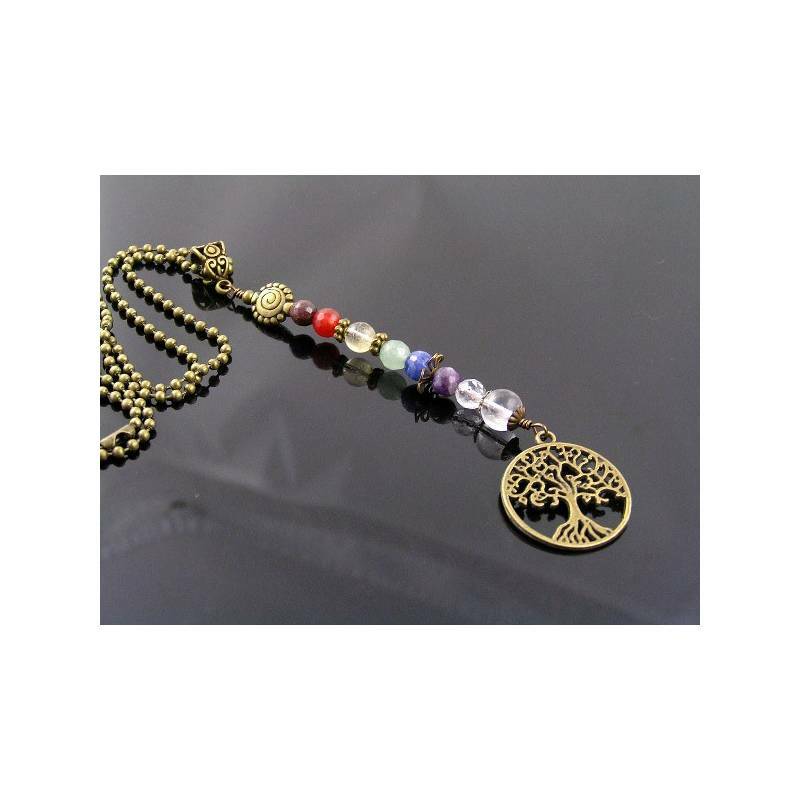 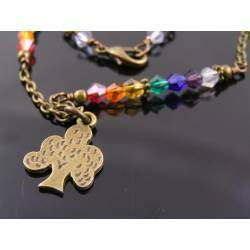 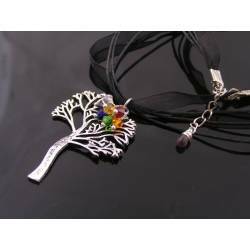 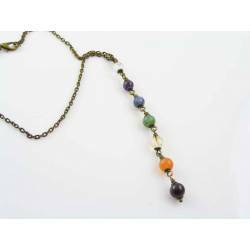 Tree of Life Necklace with gemstones in chakra colours. 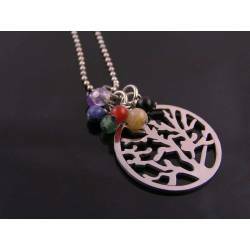 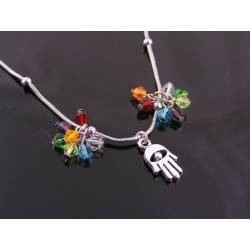 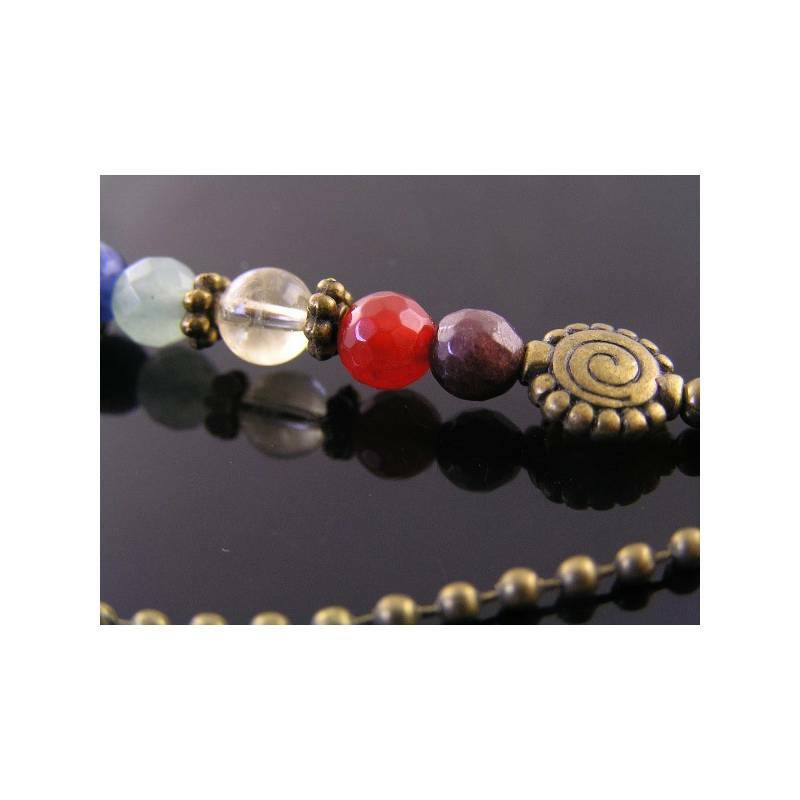 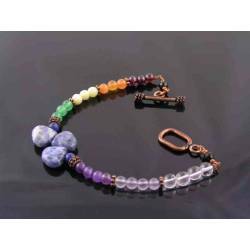 I used a very detailed tree of life pendant and attached it to a line of gemstones, corresponding to the 7 chakra colours. 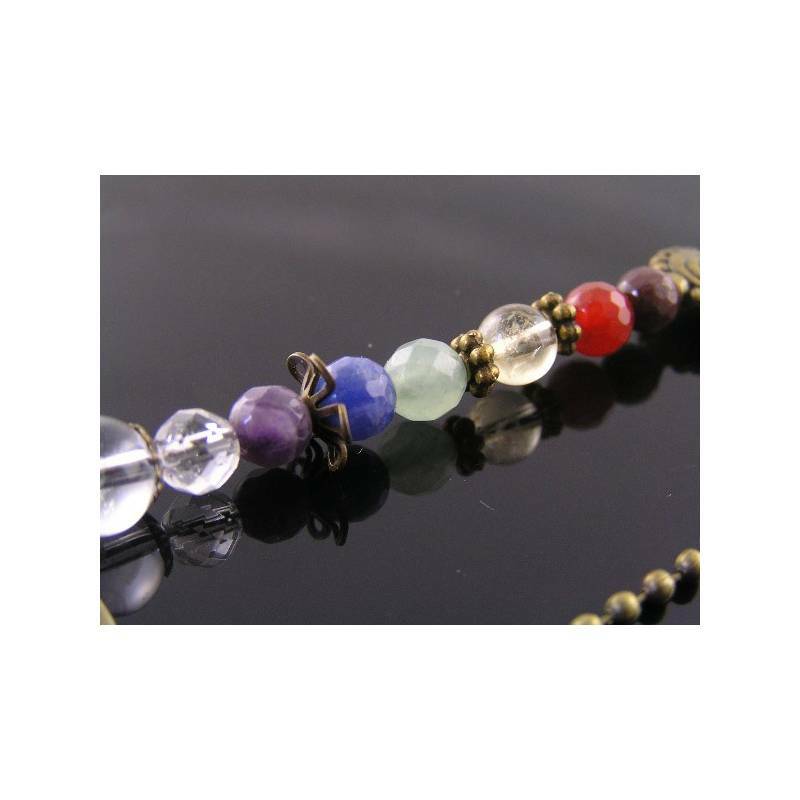 The gemstones are high quality faceted round beads in a 6mm size. 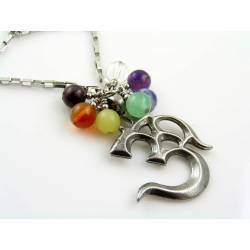 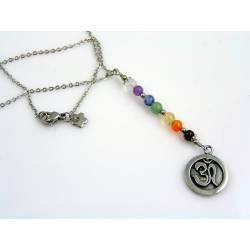 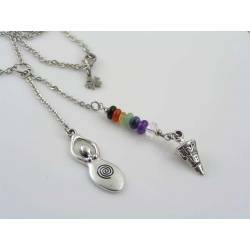 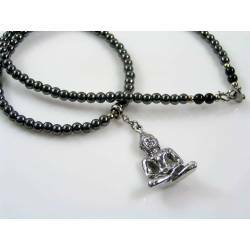 The pendant is threaded onto a solid stainless steel rolo chain. 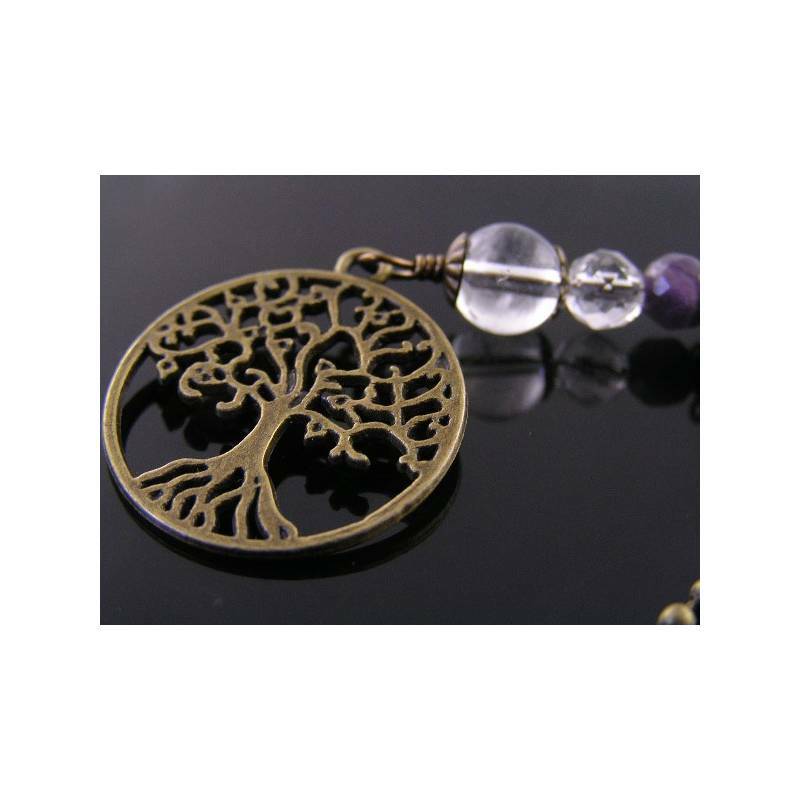 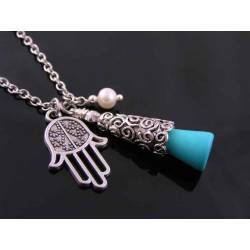 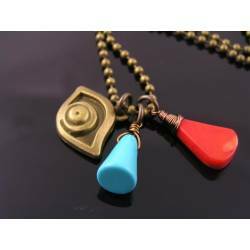 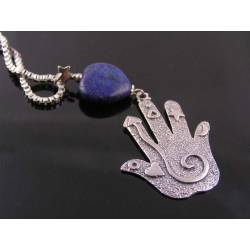 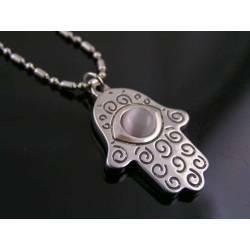 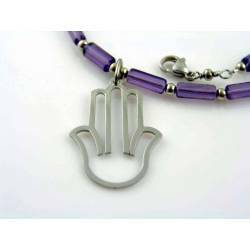 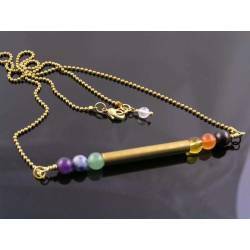 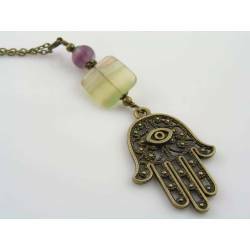 Total length of the chain is 50cm, total length of the pendant is 8cm, the diameter of the tree of life pendant measures 20mm. 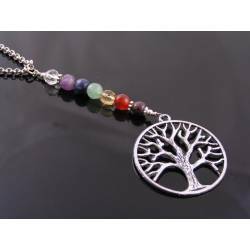 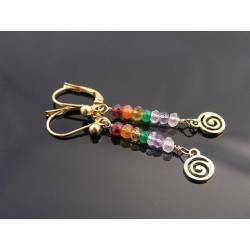 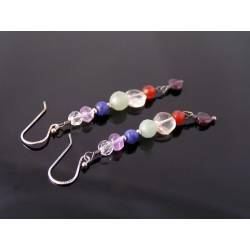 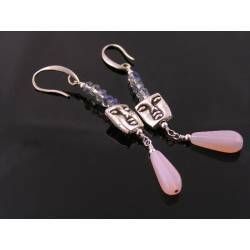 All gemstones are genuine and all metal is stainless steel and silver finished. 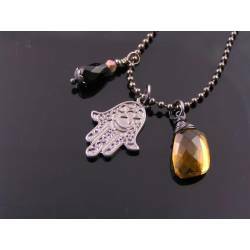 7 - Clear Quartz (Wisdom and Understanding).